VidSys has partnered with On-Net Surveillance Systems (OnSSI) to create a physical security management solution that enables customers to more effectively investigate and handle security events in real time. OnSSI’s IP Video Surveillance System Management Solution is a suite of products running on a single platform that allows security professionals to identify incidents, notify and inform the appropriate personnel both on and off site, and efficiently manage actions to be taken. Combining this with the VidShield platform, which integrates input from other physical security and video surveillance devices, including sensors, legacy cameras, tape playback devices, hard-drive-based media and access control systems, provides security professionals with an analysis of the situation and a recommendation on actions to take to respond to the emergency in real time. VIENNA, VA — VidSys, the leading provider of Physical Security Situation Management, today announced that it has partnered with On-Net Surveillance Systems (OnSSI) to create an intelligent physical security management solution that enables customers to rapidly and more effectively investigate and handle security events in real time. OnSSI’s IP Video Surveillance System Management Solution is a suite of products running on a single platform that allows security professionals to effectively identify incidents, notify and inform the appropriate personnel both on and off site, and efficiently manage actions to be taken. Combining this with the VidShield platform, which integrates input from other physical security and video surveillance devices, including sensors, legacy cameras, tape playback devices, hard-drive-based media and access control systems, provides security professionals with an analysis of the situation and a recommendation on actions to take to respond to the emergency in real time. Both solutions were built on an open architecture and are compatible with any hardware or software application within an organization’s security infrastructure. As a result, the solutions integrate smoothly with an organization’s existing security infrastructure in order to extract relevant security information in real time for improved responsiveness to events. As part of the agreement, OnSSI has joined the VidSys Interoperability Partner (VIP) program, created to ensure customers receive benefits from their best-of-breed technologies without assuming the traditional infrastructure burden. To learn more about the VidSys VIP Program, please visit www.vidys.com/partners/vip_program.html. For more information on OnSSI, call 845-369-6400, e-mail [email protected] or visit www.onssi.com. 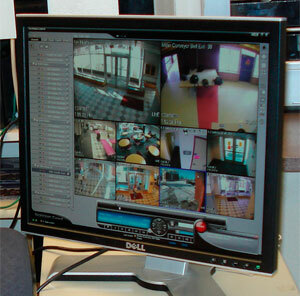 On-Net Surveillance Systems, Inc. develops advanced non-proprietary, open architecture, Intelligent IP Video Surveillance solutions. OnSSI’s systems deliver feature-rich camera management, sophisticated recording and archiving, and automated video alerts based on intelligent analysis and detection. NetSwitcher, OnSSI’s revolutionary IP-based video surveillance control platform, can be utilized in a desktop monitoring or command center video wall environment. It integrates intelligent analytics, greatly enhances productivity, and enables sending any camera view to any local or remote display on the network via a map-based, touchscreen interface. With over 20,000 deployments, OnSSI’s systems can be found in a wide range of municipalities, federal and local government agencies, as well as corporate, industrial, and educational settings. VidSys is a leading provider of integrated Physical Security Situation Management software allowing companies to view, aggregate, analyze and resolve security events in real time. Through its open architecture, the VidShield platform allows customers to integrate new best-of-breed technologies with existing security investments to enable more intelligent and proactive security and surveillance decisions. Founded in 2005, the company’s solutions are deployed in transportation, enterprise, government and gaming organizations, including some of the largest state and city command and control centers in the U.S. Privately funded by IDG Ventures Boston Motorola Ventures and JVax Investment Group, the company has offices in Marlborough, Massachusetts and Vienna, Virginia. For more information, visit www.vidsys.com.